Reading, MA – The Reading Cooperative Charitable Foundation is pleased to announce that the Reading Schoolhouse Condo Fire Fund officially raised and donated $9,350 to the Reading Schoolhouse Condo Fire Fund after organizing last month’s Bruins Alumni Benefit Hockey Game. The event took place on Saturday, Feb. 10 at the Burbank Arena in Reading, MA. Former Bruins stars in attendance included Bruins Alumni Co-Captains Rick Middleton and Terry O’Reilly. 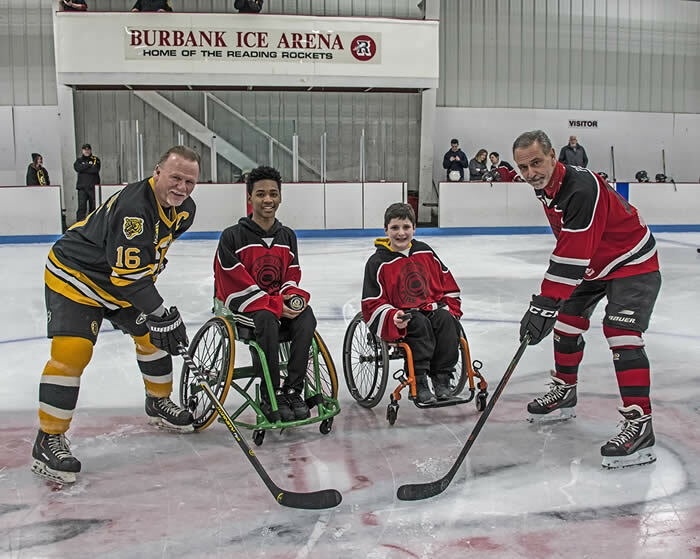 The Boston Bruins Alumni faced off against Reading Fire & Ice, which was made up of Reading Cooperative bank employees and their families, as well as members of the Reading Fire Department.